Management is art, craft and science. Every activity in this world requires the art of management applied. Be it running a house, business, club or just your holiday planning, you have to learn to manage each part of the activity. History abounds with the names of great managers. Alexander the great and Ceaser shine as examples of leaders who were masters of management and thus attained immortality with their skills and courage. Management and leadership go hand in hand. The difference between a failed venture and a successful one is generally the skills of management and leadership shown at different times. You might have the best business in the world, or the best idea, but bad management, or lack of management, will lead you to disaster. In this highly competitive, globalised world of ours, management skills are critical to success. 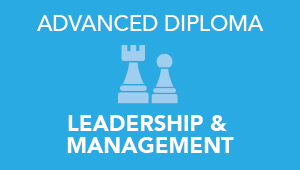 If you like to strategise, lead and achieve, a program or course in management may be for you. A management qualification can open doors to many opportunities. Management involves identifying the mission, objective, procedures, rules and integration of human capital to contribute to the success of the enterprise. This implies effective communication, an enterprise environment, human motivation and some sort of successful progress or system outcome. The management course we offer at Salford is delivered using case studies and projects based on real life situations. Our emphasis on teams reflects the business world and helps improve communication and effectiveness. Participants not only educate themselves on management techniques but also learn about themselves, leadership and responsibility. Through their diploma, students form a community, forging friendships and networking opportunities. Management courses at Salford College will get you ready for real world challenges that you will inevitably face in the workforce. Management involves skills that need to be learnt, practiced and honed. 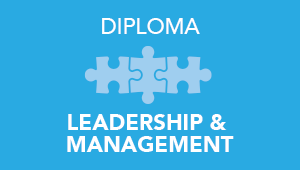 From the Diploma of Management to the Advanced Diploma of Management, you will find yourself performing role plays, working on projects, leading a team of colleagues, and doing work that constantly refines your skills and gets you ready to be a leader of tomorrow. At Salford College you will thoroughly enjoy all these aspects and graduate with the knowledge and skills that set you up for your future and career aspirations.